This video is of 5th-8th grade band members. They are working on a basketball routine that demonstrates repeated half notes, quarter notes and eighth notes. 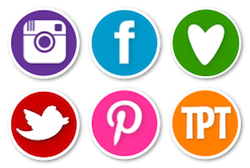 This was inspired after seeing Mrs. Lukow's students doing this routine. This is just a rehearsal so its not quite perfect, but you can see how hard they've been working. GO BAND! WooOoot! Kindergarteners and First Graders LOVE pretend play. Oh, who am I kidding? Me too! One of our new favorite activities is pretending to go to Prince and Princes School. We listen and move to Hungarian Dance #6 by Brahms. Here's the story: Once upon a time there was a strict but beeeeeeautiful queen who ran a school for princes and princesses. There she taught them how to walk, bow and and wave like royalty. As soon as the queen isn't looking all the princes and princess act silly. Finally, unable to control their silliness the strict but beeeeeeeautiful queen joins in they jolly dance. We are going to tell this story to parents at our annual spring concert this month. 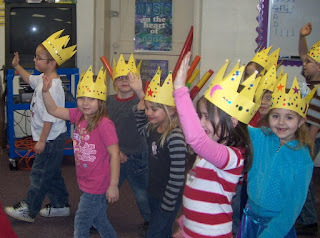 Look at the beautiful crowns they made in art class! I love Music in Our Schools Month! I also love taking every opportunity to brag on my awesome students! 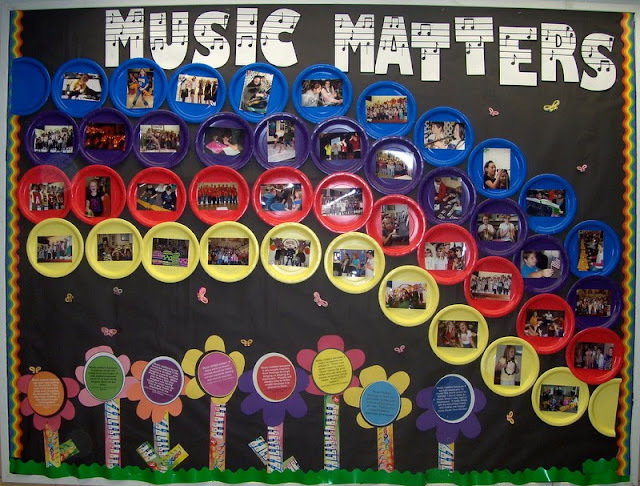 This month I have the large bulletin board in the main hallway and decided to borrow the title of our spring concert's finale, Music Matters, for the board. 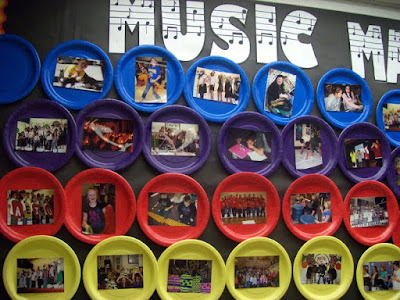 The plate rainbow contains pictures from music class, assemblies, concerts and other performances over the last few years. 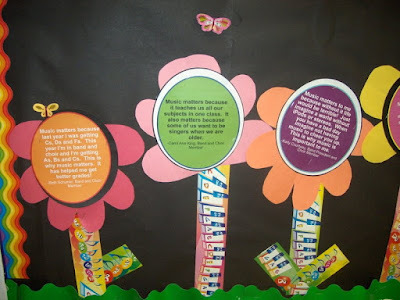 The flowers contain quotes about why music matters from choir members. 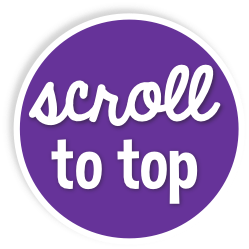 You can scroll down to the previous post to read their thoughts.